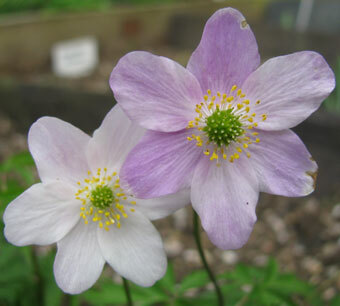 ANEMONE NEMOROSA are woodland plants which require a cool root run, for light woodland with plenty of leaf mould incorporated into the soil. They should be planted horizontally just below ground level. 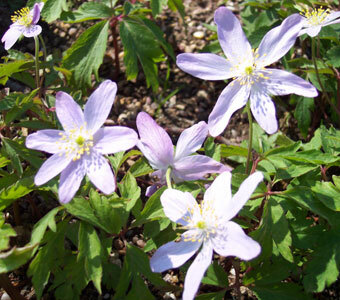 Flowers appear from early March to mid April. Clumps may be divided every 3-4 years to encourage best growth. 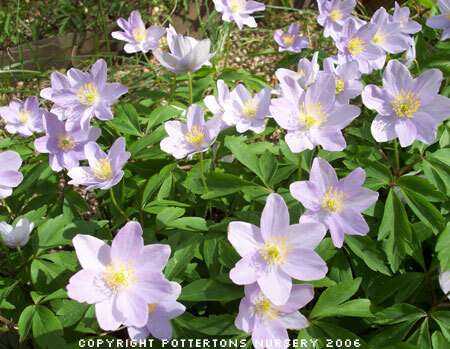 We are delighted to be able to re-offer this exceptionally large flowering form with lilac flowers flushed rosy-purple on the outer petals, late flowering April to May. Very large dark blue flowers. 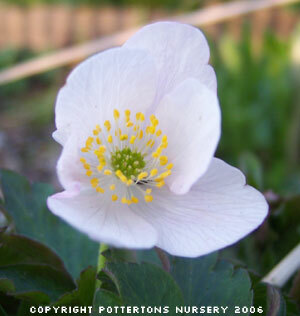 Large multi-petalled flowers, white and green, sometimes a blue tinge to the base. Double white flowers with green bracts. White fading to pink with white edges then darkens to dark pink, one of my favourites. Distinctly large solid white flowers, light pink staining to reverse, borne on maroon stems, about 15cm tall. 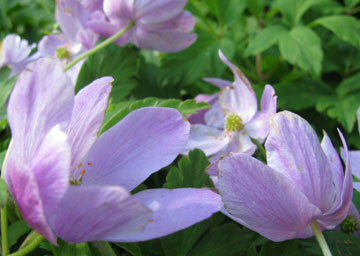 Large light pink flowers which darken with age, an excellent and distinct recent introduction from a Latvian garden. 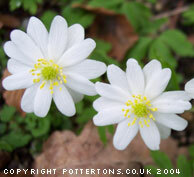 Distinctly large white flowers and a more vigorous wood anemone, clumps up quickly. Smaller white flowers fading to distinct mid or dark pink, distinct foliage as can be seen from the image. Very large strong white flowers. 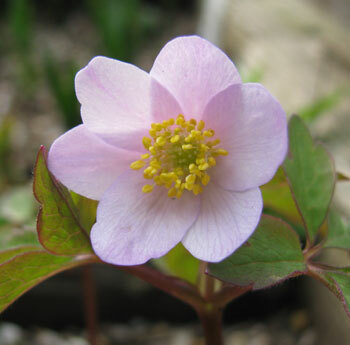 Delicate, attractive pink form - the image used here is somewhat over-exposed unfortunately making the colour appear paler. Distinctive form with very large pink flowers fading with age to deep pink / purple. Large, pale wisteria-blue flowers with fine rounded petals with dark green foliage tinged purple. One of the earliest to flower but continues to bloom long into April. 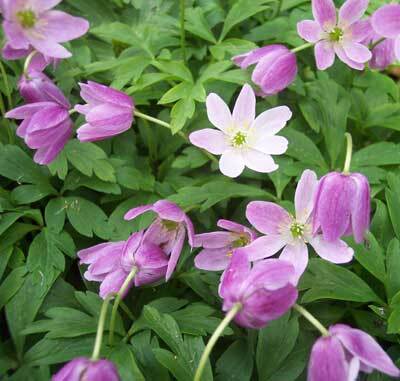 Very attractive, nicely shaped white flowers, fade towards pink with age. Distinct yellow stamens. 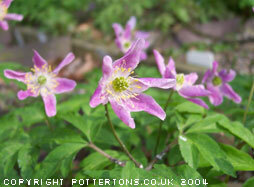 A fine flat pink flowering form, paler beneath, i am really fond of this form.